Playing nearly every instrument on Muirhead, his forthcoming solo debut, Nashville-via-London guitarist Andy Ferro strips away the reverb, trading the garage rock of his band Ranch Ghost for lo-fi folk musings on first single “Sugar and Milk.” Recorded on a tape machine with studio effects from Mitch Jones (Thunderbitch/Fly Golden Eagle/Majestico), “Sugar and Milk” plays out like a lost Beatles demo, circa Sgt. Pepper’s Lonely Hearts Club Band. 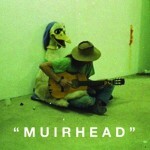 Muirhead will be released on 26 February via Rough Beast Records. Stream the vibrant “Sugar and Milk” below.